that features 17’’ Full HD display, Skylake Intel Core i7-6700HQ quad-core, and the new Pascal GPUs. NVIDIA has been clear to the world of gaming by expressing their need to match and tower the mobile capacities. Pascal laptops are now arriving in the market. With the growing competition from the likes of ASUS and Gigabyte, MSI knows for sure there is so much at stake. To most users, the current crop of GTX 1070 and 1080 chips is heavy and usually thick. I have been thinking about the alternatives and the current trend in the 1060 chips have proven to deliver sufficiently. As a gaming freak, this is a light and thin machine for you. It is highly portable with an undoubted performance. Like most of the gamers out there, the Gigabyte and ASUS deals are somewhat a rip-off. There is little to no change in what they had given the previous year, except for the improved GPU. The need for something peculiar is insatiable. 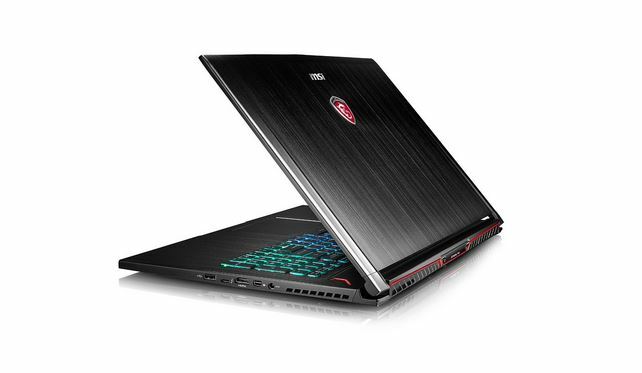 The market demand rightly has met with the redesigned MSI models for the true gaming experience. These models include the GS73VR and the GS63VR, which are more compact forms of the GS70 and GS60 models. If you are looking for an immense gaming touch, then you need to look for a high performing machine. The Stealth Pro GS73VR model gives you exactly that! I found the machine such a great perk: from its 17” Full HD display with a refresh rate of 120Hz to the highest performing processor; the machine will give you nothing short of a thrilling time in front of it. I have been down this road before with the GS60 and so trust me, this is one of the best gaming laptops in the market today. 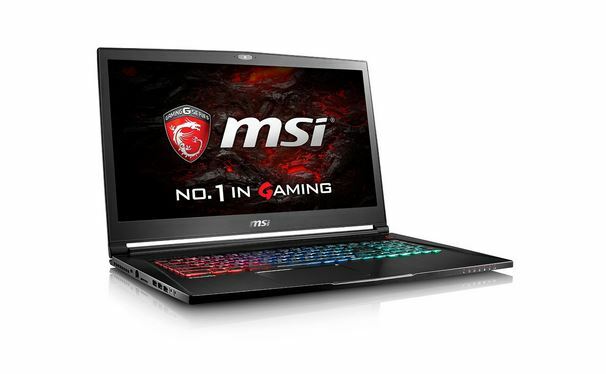 MSI VR Ready GS73VR Stealth Pro-025 17.3 120Hz 5ms Slim and Light Gaming Laptop GTX 1060 i7-6700HQ 16GB 256GB M.2 SATA + 1TB Windows 10. Screen – the Full HD (1920 x 1080 px) 17.3” resolution screen comes with TN, the 120Hz refresh rate for the best video results. It has a wide angle and gamut. Video – with the dedicated NVIDIA GeForce GTX 1060 graphics card, the gaming beast offers you a cool 6GB GDDR5 VRAM and together with the Intel HD and Optimus, the experience can only be better. Processor – the machine is powered by the Skylake Intel Core i7-6700HQ CPU. The chipset is a true quad-core processor with 2.6GHz that can be boosted to 3.5GHz on turbo. Memory – the machine works on the 2400Mhz DDR4, 16GB RAM. For the external storage, the comes with 1TB 5200rmp HDD and a staggering 256GB M.2 SATA. Ports – the exteriors are cool. The monster gaming laptop has 3 USB 3.0, Thunderbolt 3, mini-DP, mic, earphone and Ethernet as well as the 1.4b HDMI ports. Connectivity – the machine has the latest Qualcomm Atheros Bluetooth 4.1 and a breathtaking Wireless-AC 1535 adapter. Operating system – the machine is a modern and runs on Windows 10. Battery – this laptop can last up to 65 Wh. It makes it convenient for a portable gaming experience. Size – the thin, light machine measures around 412 mm x 285 mm x19.5. It weighs around 5.35 lb or 2.43 kg. The keyboard is full-house and backlit to give it a thrilling appeal. It has a trackpad and a high resolution (FHD) webcam. machine, then you should not have much of an issue with the GS73VR. The materials used to build the exterior are same. The outlook is so alike. Like its predecessors, the model comes with a solid black look in a metal body made of the magnesium/aluminum alloy. You will love the weight and size balance for this machine. It is less than 5 pounds and only 0.77” thick. The construction has a great feeling, and most of it is created for quality. The lid comes in a smooth brushed finish. The sides have two small ridges, which make the machine look great. The conspicuous “Gaming G Series” text is clearly adorned in the lid as the MSI logo. I find the glowing emblem with backlight to be a disturbance and unfortunately, you cannot turn it off. My take is that the logo is off the ideals of this machine! Unlike the past models, the GS73VR machine has a stronger hinge. You can barely open the lid with a single hand. It could seem uncomfortable, but for the sake of the screen, this is a good feature with the model. The display is made of a 17.3” matte panel. It is surrounded by the plastic bezel, and the MSI logo adorns the bottom. With only the bottom to disappoint, I find the bezel not as thick. The changes can be traced back to the previous models. 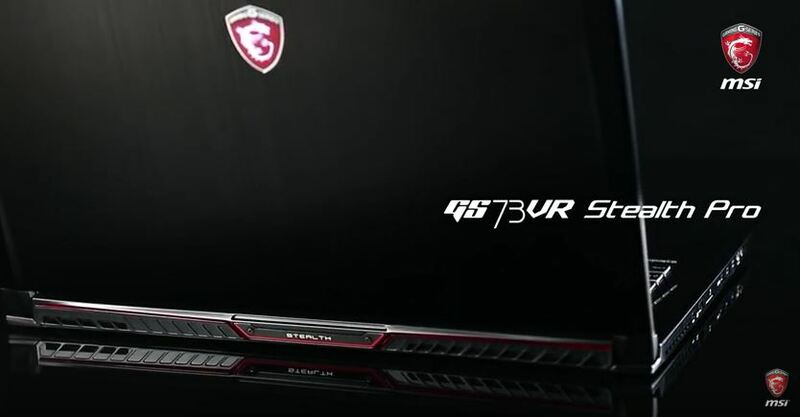 There is no machine that offers such comfort when typing like the MSI Stealth Pro GS73VR. It has a rounded keyboard and palm resting areas. The keyboard is comfortable to use and made to suit your ergonomic needs. If you are looking for a true gaming partner, this is the machine for you. The Skylake Intel Core i7-6700HQ quad-core processor delivers nothing less than a thrilling gaming experience. It has been proven to be one (if not the best) of the best gaming CPUs. It works perfectly in this hardware to give a reliable balance of power and performance. For better results, the CPU has its cooling fan. It makes it very effective to keep the processor at low temperatures thus better gaming experience. Running your routine tasks is never an issue with the MSI Stealth Pro GS73VR. It has a reliable system memory of 16GB DDR4 RAM. It is reliable for multitasking without a lag whatsoever. I could surf, play some videos online, open some documents and watch movies without having to struggle with system lags. The quality of your videos and gaming is thanks to the dedicated NVIDIA GTX 1060 graphics card. It comes without the ‘M’ variant just like the desktop chips. This delivers over 6GB of video RAM making this machine a real gaming monster. External storage is thanks to a fast 256GB SSD memory and a cool 1TB HDD. This makes data transfer fast and reliable. The machine has quality connectivity through wireless (Bluetooth and WiFi), USB port, and HDMI. The deal can never get this great for such a powerful machine. I find the MSI Stealth Pro GS73VR one of the best gaming laptops for anyone looking for a powerful, effective and reliable gaming laptop. The screen size just gives you what you want. It can perform without heating up so fast. The keyboard, GPU, and screen are designed for nothing but quality gaming. However, you must take care of the sharp edges on the bottom casing. This is obviously a good deal for its price range of $1799 – $2199.